Yes, Reliance has made a Revolution in Indian Internet Market. All the Competitors like Idea, Airtel, Vodafone, Aircel, etc. are now out from the competitions. They even can’t Stay in the Competition. Because in what Cost they are Providing 1Gb of 3G DATA Reliance Jio is Providing 5Gb(approx) Data at the same cost.Even the cost of Reliance Jio 4G Plans is Lesser Than the 3g Plans. 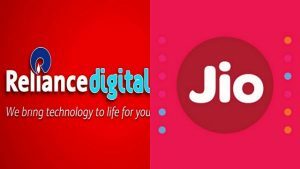 The Cost For 1Gb DATA in Reliance Jio will be Approx 50rs After ending of the jio welcome offer (31st march 2017) till this Date its Free to use Unlimited Data, Calling, Messaging, and Roaming. The Cost of other Companies for 1Gb 3G data is Around 250rs. First of All, You should have a 4g phone with at least having an LTE Support or Volte Support. Then you have to download MYJIO App from Google Play store. Now you have to Open MYJIO App, and it will say you to Download 8-10 More Jio Apps and download all one by one. Then you have to open MYJIO App, and there will Be a Button Naming “Get your Jio sim” Click on it. Follow The Instructions By Just Clicking Next-Next and fill details like Name, Mobile No, City and email id. After clicking it will automatically detect your location & prompt whether it is available or not in your state/city/village. If its fail you can also write manually or select your state/city/village. Here You Will Get Your Jio BarCode. 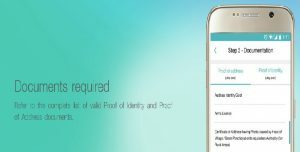 After getting Barcode on your phone, you will be able to Get your Reliance Jio sim From any Reliance Digital Store or Digital Mini Express Stores. Now You Will Get You Jio Sim From The Store Kindly Wait for 2-3 days to get it activated. Finally, you will get a message after activation of your sim, and you will also get email also. So Now sit back and Enjoy the benefits of jio welcome offer which will give you Unlimited Calling, the Internet, Roaming and Messaging anywhere in India. Kindly Login To MyJio App with JIO Mobile No to see The Data Usage, Calling Minutes Usage and all other Reports Regarding Your Sim Card. 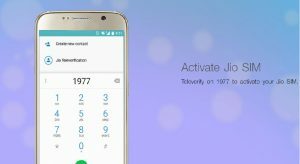 Maybe you will be unable to call any number from your Reliance Jio Sim than download Jio Join App and use its dialer to call any Number in India. This error might Occur in All 4G phones which are Supporting LTE Bands. Maybe it Will show that you have Got only 2gb data then don’t get Panic or Hyper be to relax and continue using your Data as You were using It earlier when the 2Gb data will get Completed You will be still able to use data Because you have got Unlimited 4G data till 31st December. You will get 6 Month Unlimited Calling on Any Network across the India. Valid up to 31st March. You will get 6 Month Unlimited Messaging on Any Network across the India. Valid up to 31st March. You will get 6 Month Unlimited Roaming on Any Network across the India. Valid up to Lifetime. Yes, we did Speed Test of Reliance Jio Net, and you know what we got? Incredible Internet Speed that six laptops can simultaneously surf the internet without lack of a second. The pages open within a second in all the laptops. The Downloading Speed in Internet Download Manager is Recorded 2Mbps as Max, and average Downloading Speed was Around 800Kbps. Nowadays we all know now jio is readily available for its speed decreased. It work worst. You can’t rely on jio as users are getting increased jio speed is getting dropped. This is All For Now Stay Tuned With us for Latest Updates.